There are two/three types of helicopters currently operating in the private sector. The most frequently seen is the powerful Russian made MI-17. This is a big bird, capable of transporting 22 passengers or four tons of cargo. 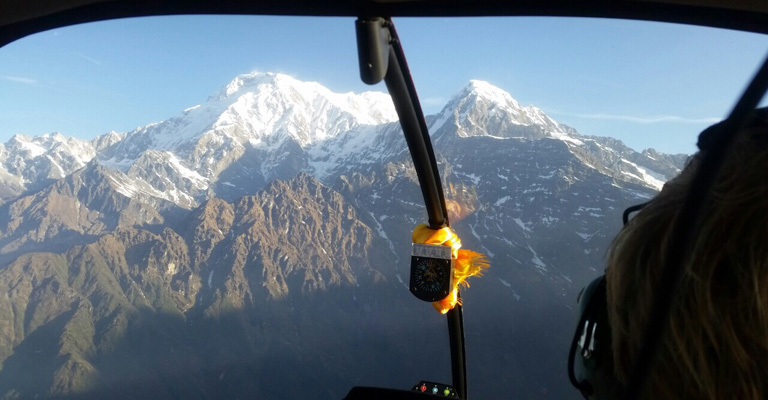 MI-17s can reach altitudes well in excess of 5,000 m and have been known to land at Everest base camp. They offer excellent utility and reliability under extreme conditions. The other craft is the smaller and more maneuverable French made Ecureuil AS350B series. This sports car of the rotor world is smooth and quiet and offers excellent visibility. Wide-bodied and comfortable, it can carry four/five passengers and the newest models can land at 6,100m. They are thus ideal for Himalayan sightseeing and intimate charters. For the cost details please contact us.